Clasp, springring, sterling silver, 12mm round with 2 double rings. Sold individually. Item Number: H20-1280FX Have a question about this item? 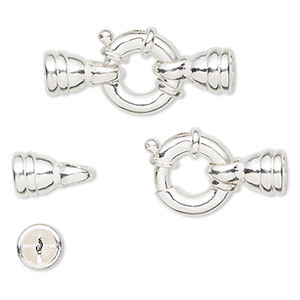 Excellent-quality sterling silver with a high shine and premium polish. A versatile component for jewelry-making. Spring mechanism is made of steel for added strength. 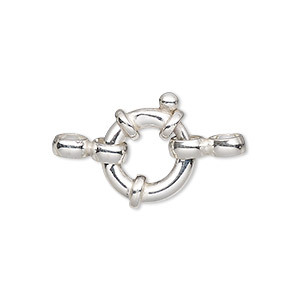 Clasp, springring, sterling silver and steel, 10mm round with 2 double rings. Sold individually. 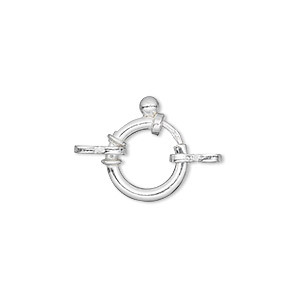 Clasp, springring, sterling silver, 14mm round with 2 double rings. Sold individually. 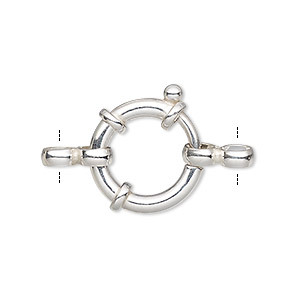 Clasp, springring, sterling silver and steel, 12mm round with 2 double rings. Sold individually. 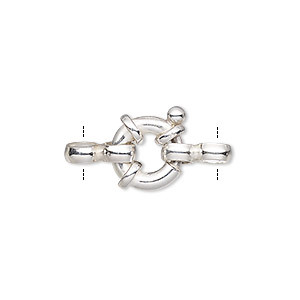 Clasp, springring, sterling silver, 30x13mm with end caps, 5.5mm inside diameter. Sold individually. 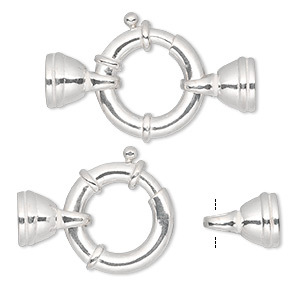 Clasp, springring, sterling silver, 36x20mm with end caps, 7.5mm inside diameter. Sold individually. 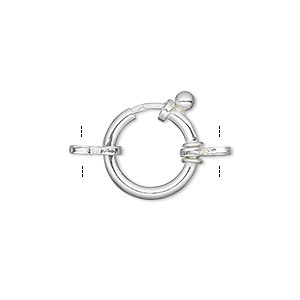 Clasp, springring, sterling silver and steel, 14mm round with 2 double rings. Sold individually. 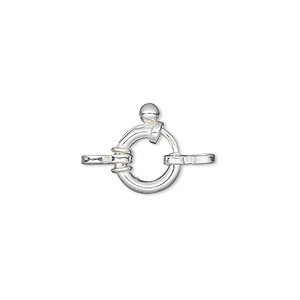 Clasp, springring, sterling silver and steel, 16mm round with 2 double rings. Sold individually. 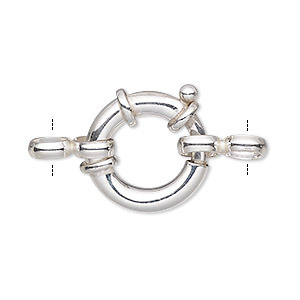 Clasp, springring, sterling silver and steel, 18mm round with 2 double rings. Sold individually. 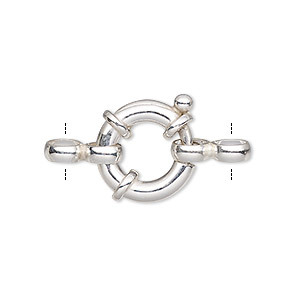 Clasp, springring, sterling silver and steel, 20mm round with 2 double rings. Sold individually.